At Champion Controls, we provide expert Instrumentation Calibration Services at a price that will reduce your maintenance budget. We also repair most electronic instruments to save you from expending additional capital dollars to buy new ones. We calibrate a full range of instruments in our ANSI certified calibration facility according to industry standards and to your specifications. Our standard five-point calibration service meets or exceeds manufacturer’s recommendations. Calibrations are performed on new instruments as well as those that are already in service. 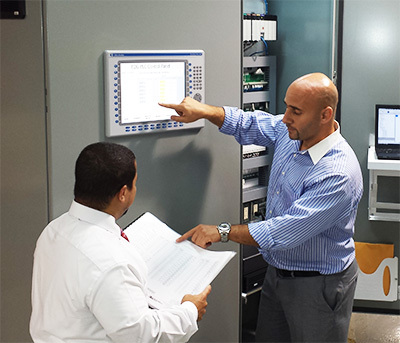 Champion Controls will even dispatch our qualified technicians to your facility throughout Florida, Puerto Rico and the Caribbean to conduct on-site, five-point, two-stage calibrations thereby minimizing disruptions to your operations. As part of our certified calibration procedures, we supply our customers with complete documentation and calibration reports for each instrument we service. The report details the test equipment used, the procedure followed, and any observations, variances and recommendations. In fact, we maintain calibration and repair records on all instruments on file for a minimum of five years, and can provide recalibration notices to our customers to assist them in complying with all state and federal regulations. We have annual calibration contracts with customers like Seminole County and Palm Beach County, among others. Significant savings can be achieved by calibrating similar instruments on the same schedule as these large volume customers due to reduced setup time. Even if you only have a few instruments or a single instrument in need of calibration, timing your calibrations to coincide with these existing customers will save you money. No job is too small for our lab. We provide competitive quotes for individual, custom, and periodic calibration services as well as for repair of most types of process control equipment. The answer to your instrumentation calibration needs is simply a phone call or email away! Contact us today to learn more about how our calibration services will save you money.